Bengal Stripe Button-Down is a wardrobe mainstay. 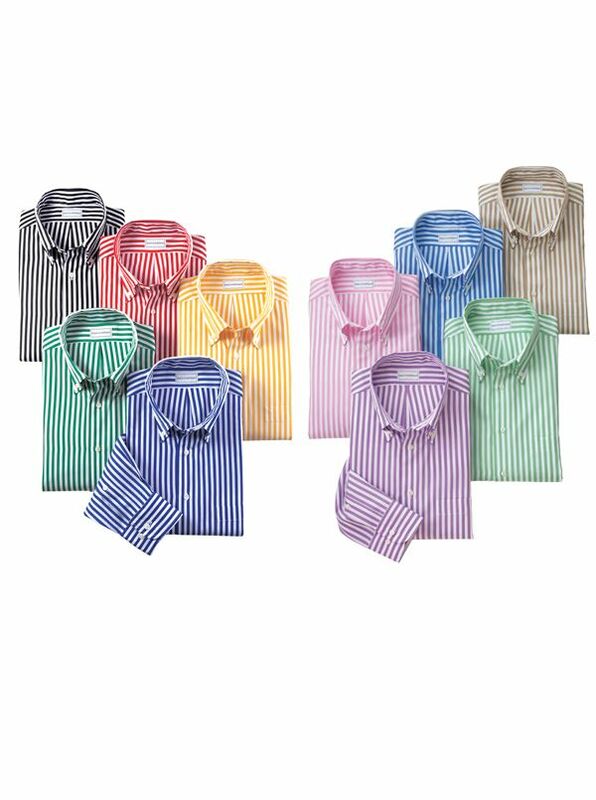 Dress up or down with or without a tie sleeves down or rolled up our 120's-count are classics taken up a notch in fine 2-ply cotton. Said to be named for the Bengal Tiger and first introduced to britain in the early 19th-century these stripes lend themselves to a spectrum of colorations - including the 10 we now offer. Tailored in America with softly rolled button-down collar long sleeves single pocket back box pleat.